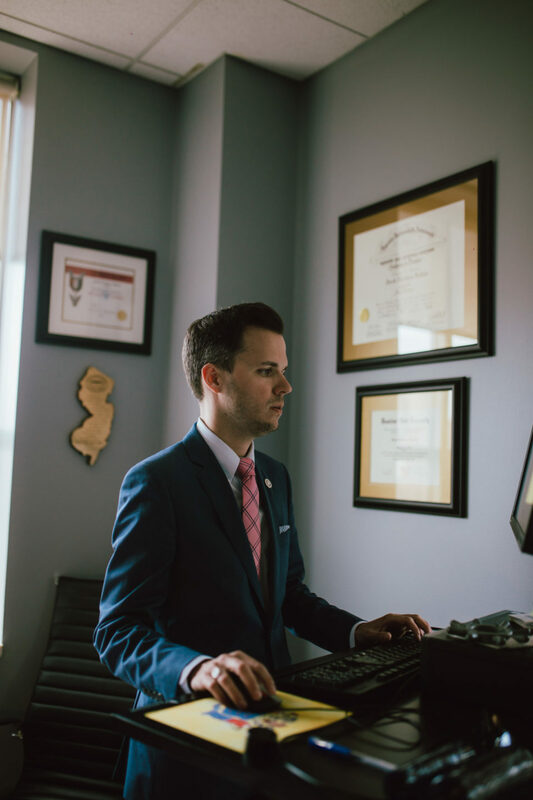 A few weeks ago, Mayor Steven Fulop announced the appointment of Jacob Hudnut, a 35 year old defense attorney, as the next Chief Municipal Prosecutor for Jersey City. It’s been two weeks since he’s been sworn in and he’s already making history. Jacob was a candidate for the Ward E City Council campaign and one of the Mayor’s biggest critics. For those who follow me, you all know I’ve been a huge Fulop supporter. That being said, I secretly had a lot of respect for Jacob and his no-fucks-given attitude. The kid had balls, he took a stance and stood by it. The content he was putting out on social media during the campaign trail was thought provoking and he definitely got my attention. Jacob didn’t get my endorsement, but he earned my respect. When he didn’t win the Ward E seat, I knew this wouldn’t be the last we hear from him. It was only the beginning. Now, we have the first ever openly gay Chief Prosecutor, who is passionate about bringing progressive changes to this city. And yes, him and the Mayor are bros now. So it’s all good. Jacob invited me to his swearing in, and I requested to meet him for an interview. During the time leading up to our meeting, he made history. 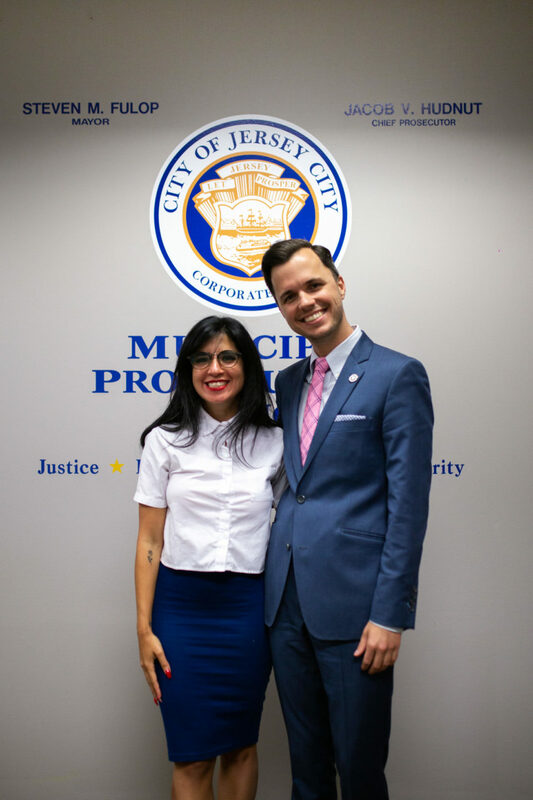 Jersey City is implementing a marijuana decriminalization policy that the mayor and Jacob believe will increase racial justice while protecting public safety. The policy will downgrade some marijuana charges to non-criminal offenses; encourage prosecutors to seek dismissal of low-level marijuana charges; and recommend diverting defendants with a criminal past and signs of addiction to the city’s community court. JC is the first in the state to do this thanks to our new dream team, thus leading the way for the rest of the state of NJ. A few days ago, New Jersey’s attorney general has announced an immediate adjournment of all marijuana cases in municipal courts statewide until at least September. Crazy and only two weeks on the job. I am so honored that I had this opportunity to meet Jacob in his office at the beginning of his career. I have a feeling about this guy… and maybe a fantasy that I would be voting for him one day for much higher office. He is extremely intelligent, passionate, down to earth and possesses all the qualities I look for in a leader. He’s my new favorite person in Jersey City. 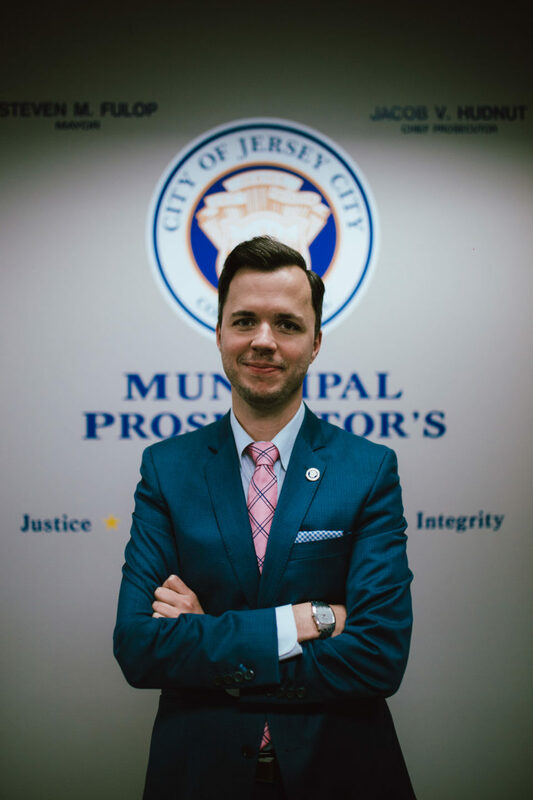 I’m the new Chief Prosecutor for the City of Jersey City. Congratulations! So let’s rewind a little bit. How did you get to this position? I’ve been in Jersey City since 2004. I went to law school at Seton Hall Law School in Newark. 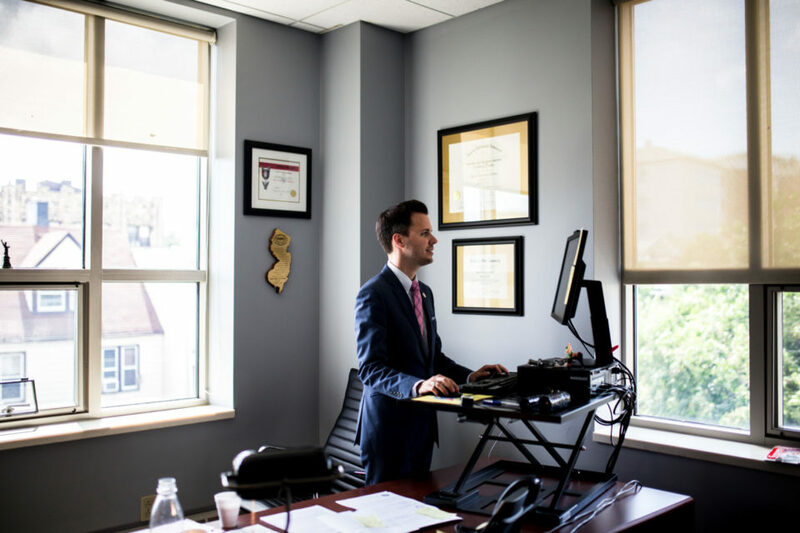 When I left law school, I worked for a presiding criminal judge in Newark. Then I hung out my own shingle and opened up my own law office, and I fell in love with defending people accused of crimes. I probably represented over 600 people accused of crimes in Hudson County and New Jersey, and a little bit in New York. I had 15 jury trials and really saw what happens to a person when they’re accused of a crime. I found a passion for criminal justice and the changes that are needed for criminal justice to be even stronger. 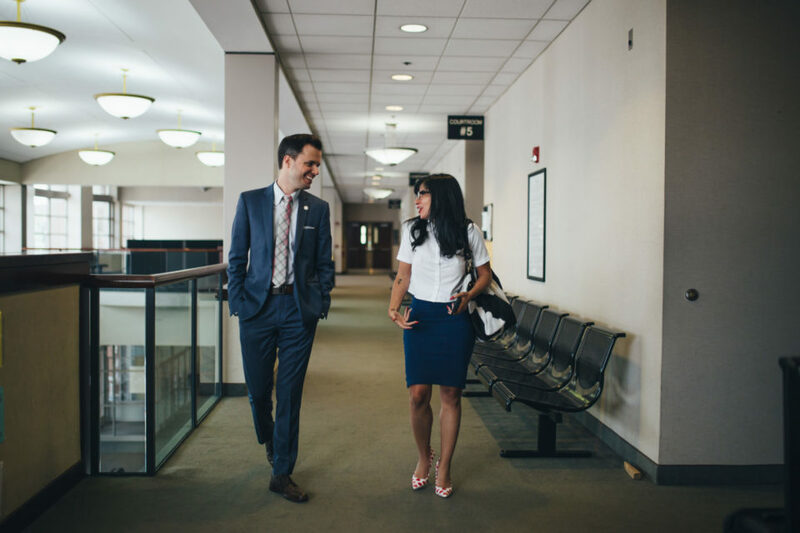 This spring, I had some conversations with the mayor, and he decided to make a change in the Chief Prosecutor’s office here in the Municipal Court. And here I am. You also ran for City Council. Yes. Last year, I ran for City Council in Ward E – Downtown. It was a great experience. I think I was part of a very unique group of people running for the same seat. We often joked about who was more progressive. We shared so much in common, and we still keep in touch. I feel like we’ve gotten a bit of a fraternity/sorority going among us and I’m proud to have been in the race with each of them. It was a great experience. I honestly thought there was a conversation that needed to be had about the city needing to be a little bit more progressive. As anyone who follows it knows, I wasn’t always on the same side of the campaign as the mayor. In fact, I ran on his opponent’s slate. After the dust settled from the campaign, the mayor and I got together and talked a little bit about why we weren’t on the same page during the campaign. Topics surrounding criminal justice from the first term. I have to give him credit because he said, “How can I fix it? How can I do better? Where can I do better?” And I said, “Well, you can make a change with a new Chief Prosecutor.” We are on the same page now, we listen to each other, he has taken my advice. I don’t know that he’s ever had anyone in his ear that has the experience I have representing people accused of crimes. I’m really excited about the direction he has taken the City in the second term. I feel like this term so far has been beyond anything we saw in the first term in terms of progressive. It’s really exciting, and I think what him and I went through in the past few days with marijuana reform has made our bond even stronger. I think our bond is strong because we’ve put aside the things that we said about each other in the past, which I think was really big of him. That’s cute, you guys went from being kind of against each other to bros. Right, well it’s kind of gone back and forth. I campaigned for him many years ago around 2011 on Board of Ed issues. Then as we know I had some concerns in the first term. But now he’s almost like a slightly older brother. We’re both on the same side and we have Jersey City’s interest at heart. Again, I give him credit for bringing me into the fold; it says a lot about his strong character. So it’s been two weeks. How does it feel? Crazy. I have ten lawyers and two staff, they were very excited about the progressive vision I brought during my confirmation process and during my swearing-in. I was very clear about where I think prosecutors can do good. Obviously, my goal is to prosecute people but I’m in the municipal court. I’m dealing with misdemeanors, ordinances, and felonies the county chooses to downgrade. These are low-level crimes. A lot of the people who are accused of these crimes just need help. They need maybe some social services, work placement, drug counseling. There’s a whole myriad of services that they need and, if they get them, then they don’t make bad choices. Obviously prosecutors prosecute — they convict and punish when appropriate – but we can also solve problems. I love that. You guys find a solution as opposed to just throwing people in jail. Yes. It’s a trend that’s happening across the country, it’s happened in Philadelphia, Brooklyn, Chicago. When the mayor and I were talking this spring, I pointed that out to him. He got it; he actually took some initiatives with establishing a community court last fall. We have a great judge as the head of the community court, Judge Jackson. I’m kind of hopping into what a lot of those folks have done already, and they have my full support as chief. I’m already meeting with other stakeholders and council people for other ways the municipal court can solve problems. This does two things – When crime is down, it saves municipal resources because the courts are spending less money on hearing cases over and over again. The other thing is, if I can solve the problem why somebody is committing crime, it makes the community safer. It’s a holistic approach and I’m excited to be a part of it. You’ve been here two weeks and you’re already making waves. Can you tell us a little bit more about what’s going on and the hot topics in the news today? Sure. I started on July 2. The mayor and I are strong believers in the social justice issues surrounding marijuana legalization. I’ll speak for my part, I was inspired by the way Governor Murphy ran his campaign, addressing not only the benefits of medical marijuana but also the social justice issues around recreational use. At the time, I was a defense attorney and I saw those issues up close. I’ve very rarely had white clients accused of crimes related to marijuana; they’re mostly clients of color, even though I know white people smoke marijuana too. When I took this role, the mayor and I thought about how we could mitigate the consequences attached to marijuana conviction while legalization is pending in Trenton. It’s a misdemeanor; New Jersey calls it a disorderly person offense, but it’s a misdemeanor. It can result in driver’s license loss, immigration status loss, school and financial aid loss, things of that nature. In the legal department, we found there are court rules that allow me to amend, downgrade, or dismiss marijuana charges. We were very confident that we had the legal authority to do that and effectively decriminalize marijuana and enforce it as a local ordinance. The Attorney General disagreed after we announced that policy, and we were firm in our position. Various outside stakeholders reviewed our legal argument and were confident in it, too. There was public support for our policy, the Star Ledger Editorial Board spoke out in favor of what the mayor and I did, and we met yesterday with the Attorney General for the state of New Jersey. For me, as a 35-year-old attorney 2 weeks on the job, that was amazing. He was an intelligent, gracious man, and he agreed to adjourn all marijuana cases across the state of New Jersey until a policy is written statewide that addresses what local prosecutors can and cannot do with marijuana charges between now and legalization. There will be various stakeholders in that working group for that memo. I don’t know what the result of that memo will be but the fact that right now, everywhere in the state from Cape May County up to Sussex County, no person – particularly no person of color – will have a marijuana conviction. That’s amazing. Jersey City basically paved the way for this to happen. You should be super proud of yourself, that’s huge! I think the mayor had my back on Friday. The Attorney General wrote a very strong letter to me, and it’s my understanding the Attorney General went to great lengths to keep that letter private. I think a different level of government between the city and state leaked that letter. As a young lawyer, that was a bit of a burn. But the mayor had my back on social media, on camera, and he trusted me and his lawyers in our law department that our policy was sound. I think any other mayor might have given up and thrown in the towel, but Mayor Fulop is tough and had my back. We don’t know where this policy is going to go in the next six weeks, but the Attorney General agreeing to postpone all marijuana cases for six weeks was brave and bold, and it put him in the national forefront of progressive prosecutors. I’m proud and excited about what I did, I feel like the Little Engine That Could, but I have to give the mayor and Attorney General credit. That’s great. What’s going to happen to people who are currently in jail for these types of convictions? It is very rare these days, but people serve jail time for marijuana, sure, but the most is a few a couple of days while you’re processed. What I think people may lose sight of is the conviction for marijuana. We call it a “disorderly person offense” in New Jersey but it is the same as a misdemeanor conviction from any other state in the country. The important thing is that those convictions will stop for 6 months, and so will all the other collateral consequences that come with those convictions. I am much more of a cocktail guy if I want to unwind. I even took a mixology class last year and have a bar at home. I fought for this issue because I’ve stood next to so many young men of color in court as a defense attorney while they pleaded guilty to marijuana and there’s no stranger feeling in the world because of the hypocrisy surrounding that. I knew so many of my white friends did the same thing as those clients but without fear of arrest or prosecution. Another reason I bring it up is because, back when I lived in Canada, I was caught with weed and only got a slap on the wrist. They took what I had and basically laughed at the situation. They didn’t even give me a ticket. A week later, one of my friends – a male of color, a med school students, super talented and smart – completely forgot he had a roach in his car from the week before and was arrested. It’s not fair. When I heard about this new policy in Jersey City, I thought it was a great thing. I agree. Our policy was smart. As for what’s next statewide, it’s important to note that the Attorney General hasn’t promised anything and he can’t on the front end, but if he brings the right people to the table, we can get to a place where we’re comfortable with a fair statewide policy on what to do with marijuana between now and legalization. The buzz lately is that there should be a vote on legalization by September, so these things might go hand-in-hand, and the statewide adjournment on marijuana might play the vote on legalization. Amazing. Other than that, is there anything in the works you’d like to talk about or future plans? One of the reasons the mayor made a change and brought me in was because, being in charge of ordinance enforcement, I’m in charge of any violations a landlord has regarding the safety and condition of their property. Typically, the practices of a landlord are they have unsafe or dangerous property, charge low rent, and they make no repairs. They stack up a bunch of violations that are unsafe or hazardous conditions, they get a lawyer to come to court and negotiate it down, and the problem isn’t solved. What the mayor and the housing department are hoping to accomplish with bringing me in is really enforce those ordinances with integrity. Particularly in the southern part of the city, you have these outside investors who come, buy a property, charge low rent, and do no repairs. It really is taking advantage and extorting low-income and poor people. While I’m recommending large fines, I’m also standing up for a type of victim you wouldn’t normally think of as a victim. I’m standing up for low-income people who are on unequal footing with their landlords. We’re going to hold landlords accountable for the condition of their properties. I think we’re going to be joining conversations that are already happening with domestic violence court about enhancing anger management so we cut down on repeat domestic violence offenders. We have a strong mental health court here that has existed before I got here, but now it’ll have more input in the Prosecutor’s office. I think having run for city council and having a strong relationship with the mayor, I will be able to advocate for various outside services that these court initiatives need. We need help from the county, we need help from the state. I give the mayor a lot of credit for taking on a lot of this on the city’s budget, he’s really making this the most progressive city in New Jersey and in a region of our size. Until we get there, we will need some help from the county and the state, and I look forward to being a part of that. When did you move to Jersey City? I moved here for the summer of 2004. I went back to campus at Montclair State University for my last year, and then came here in 2005. I left for a minute around 2008, moved to the Montclair area for about 2 years, and then came back. I’ve been here ever since. Newark Ave was something that you ran up to get to where you were going, and now Newark Ave is a place where you want to hang out. When I moved here, most of my friends were in New York and now my friends I have in Manhattan and Brooklyn are just as likely to suggest, “Let’s go hang out in the Pedestrian Plaza.” I think that says a lot. Jersey City really is a place where people want to live and spend time. There is the topic of gentrification and there are people upset about the changes. When I ran for Ward E, what I cared about more than anything else was community policing and criminal justice, but that wasn’t really a Ward E issue. Why I’m excited about this role is getting to help people in the Southern part of the city with my background as a public defender. I don’t know the pros and cons of gentrification, but I know that on my part, I’m happiest when I’m serving people across the entire city. My role as a Prosecutor allows me to do that. What’s your favorite Jersey City hangout spot? I was obsessed with The Merchant for a while and I was sad to see them go. Right now, it’s Atlas. I love Atlas. I had a campaign fundraiser there, and I had my swearing-in reception there. They have a lot of political events there, they give their back room to a lot of important causes, and they’re just a great restaurant. They make a mean cocktail. I feel like family there. 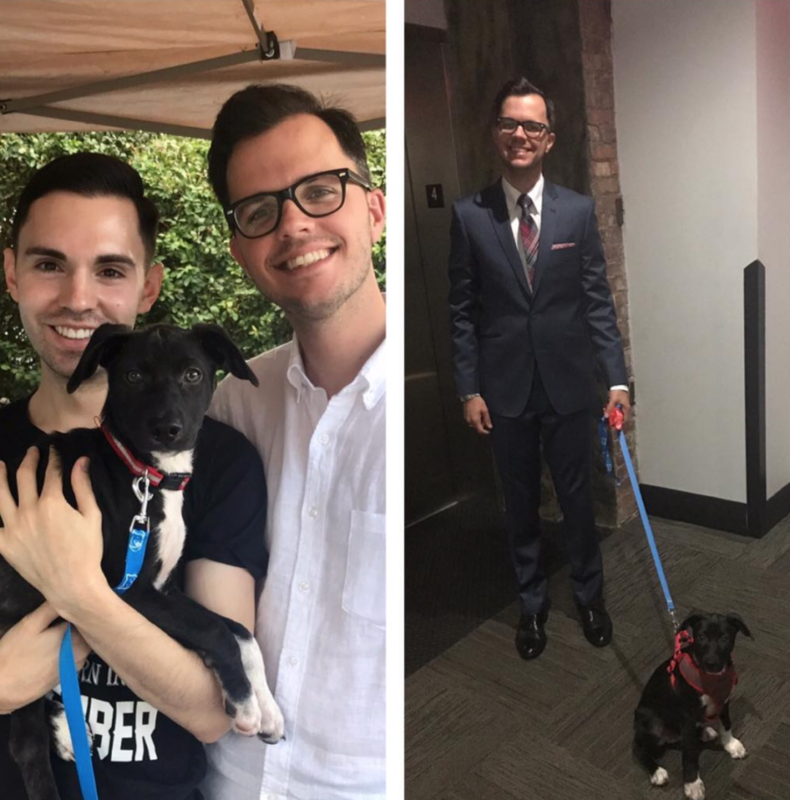 My boyfriend and I have a new puppy. She’s a year old. We also have a cat that I love, 10 years old, Fleetwood Cat. It’s funny, I used to go to the city to hang out, but I’m happy just hanging out Downtown now. Your story is really amazing. You ran for city council, you lost, and now you have this great new role. Did you ever expect all this to happen? I felt like I was everyone’s favorite second choice. I got into the race a little late, I hadn’t planned on running. Bill Matsikoudis asked me to run, I thought I could lend a voice to Downtown that wasn’t there. I felt like I left that race in a very good place. I was able to be involved in Harsimus Cove, and I’m going to finish my term as President. 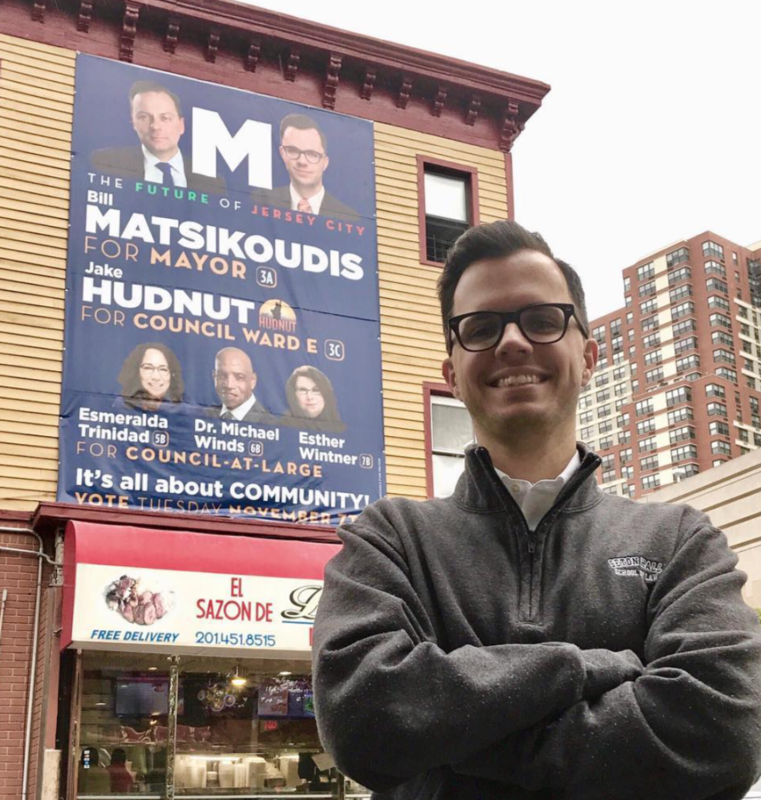 I would talk to the mayor regarding Harsimus Cove and I always thought, “I think there’s more he and I can do together.” I saw the trend in community policing across the state and what Mayor Fulop was trying to accomplish with community policing. I saw what progressive prosecutors in Brooklyn and Philadelphia were doing, and I pitched it to Mayor Fulop. He took it, ran with it, and gave me this amazing opportunity. I have to give a shout out the council that voted for me unanimously. I’m thrilled to be here with their support. Where do you eat lunch around here? That’s a tough question. I love Flatbread Grill. What do you love about living in Jersey City? This city is at the forefront of something amazing. I think this is a city that was the center of so much at the beginning of the 20th century and, like a lot of American cities, it had a tough go in the middle of the century. I give credit to the families who stayed here through that time that are still here, and I hope they see that some people who are new to the area do have their interests at heart. We love Jersey City too. With the right mayor, who we have right now in Mayor Fulop, there’s no limit to the policy we can set and push for the state and the region. I think we’re attracting a lot of talent in city government, and our potential is unlimited. You can find Jake Hudnut on Twitter and Instagram.